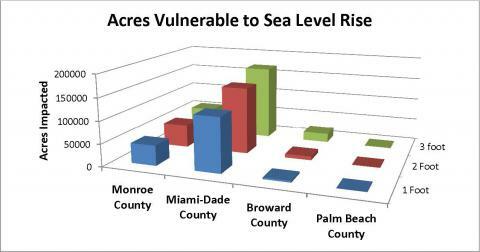 Southeast Florida is highly vulnerable to sea level rise because of its peninsular geomorphology and low topography. Local governments and universities were using a variety of inconsistent data sources, methods, and criteria to create digital elevation models to determine vulnerability to sea level rise. Consistent methods were needed to address sea level rise concerns across the region. GIS practitioners representing the Southeast Florida Regional Climate Change Compact counties (Monroe, Miami-Dade, Broward, and Palm Beach), as well as the South Florida Water Management District, local universities, and federal agencies, worked with National Oceanic and Atmospheric Administration (NOAA) Office for Coastal Management experts to understand inundation mapping methods, define the local challenges, review available topographic source data, and create a consensual set of methods and criteria for inundation mapping. Inundation and confidence mapping layers used in the Sea Level Rise Viewer were supplied for Martin, St. Lucie, and Indian River counties. An additional critical component was the use of NOAA’s VDatum tidal surface to integrate tidal elevations along the coastline. GIS staff members for each county received digital elevation maps for 1-, 2-, and 3-foot sea level rise scenarios created by the South Florida Water Management District using recent Florida Division of Emergency Management lidar elevation data and the NOAA VDatum surface. Each county performed the vulnerability assessment for specified infrastructure using regionally consistent methods and created a report outlining impacts that may occur under each of the three scenarios. In 2012, these methods and NOAA data from the Sea Level Rise Viewer were used to expand the vulnerability analysis to the three counties (Martin, St. Lucie, and Indian River) to the north of the compact counties. 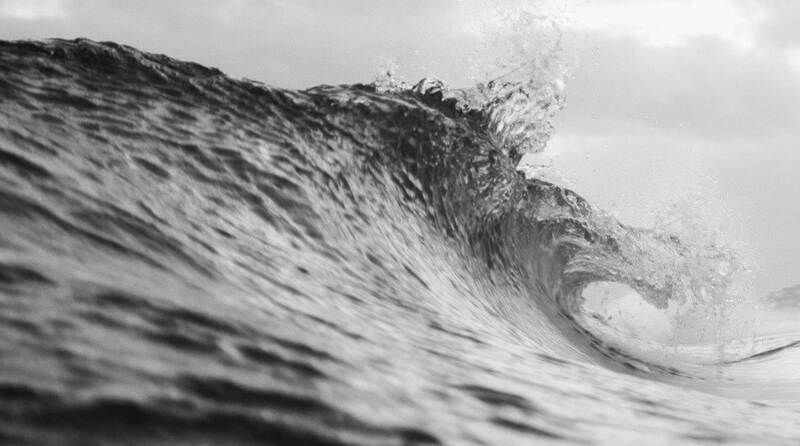 These tools aided in the discussion and development of policies and programs to address sea level rise, adapt to its impact, and improve community resilience to climate effects. Map of areas being restored.